JoAnna is a young communications specialist who prides herself in activating her community through the cultivation of creative entrepreneurs and arts-based programming. Inspired by her professional background as a writer and event planner, JoAnna promotes extensive artist collaboration and localized program development in the Midwest. Her passion for working with artists and entrepreneurs has prompted her development as a freelance writer and public relations professional. 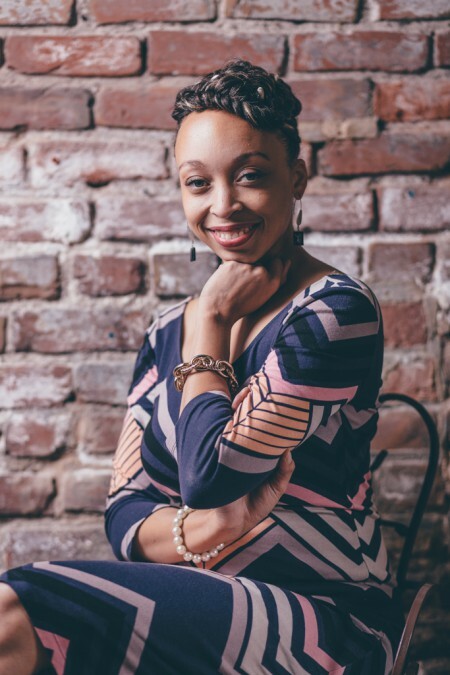 She is known for helping her clients excel in working with organizations in community development, galleries as well as over a dozen creative entrepreneur brands. Previous clients have noted her as a trustworthy member of their team delivering healthy communications strategies in the realm of social media, event planning, copy writing and multimedia development. JoAnna believes that her experiences have led to an affinity for understanding the dynamics of multicultural communications and how to empower those who are hungry for building a better platform for their organization and living in their purpose. In her spare time, JoAnna explores her love for traveling and reviewing live music productions, sharing her experiences regularly on her personal blog at joannaleflore.com.